If you attend a Passover memorial at Trumpets, you will notice that we do not use the traditional seder plate. 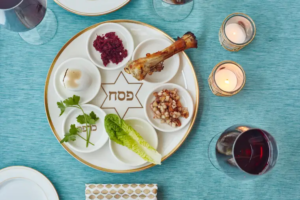 The traditional seder plate with it’s six elements is a tradition founded in the Mishna, and though not all Jewish traditions are anti-biblical, there are some questionable points concerning the seder plate. The commanded items to include in the Passover memorial are the lamb/goat, matzah, and bitter herbs (Exodus 12:8). One point of concern in the seder plate is the boiled egg, which is said to signify the pre-holiday sacrifice or the circle of life, though we know that there is much connection between eggs and the worship of Ishtar, fertility, and even as many Jewish sources say, the circle of life. Another point of concern is that the arrangement of the six items on the seder plate sets them to be connected by the six pointed “star of David,” and many seder plates even have this symbol in the middle of the plate. The origin of the “star of David” dates back at least to the time of Amos, when he spoke against the children of Israel for bearing the “star of [their] god” (Amos 5:26). The writer of Acts quotes this verse and references the star as that of “your god Remphan.” There is much connection of this star with other anti-biblical and demonic religions. If you are preparing for a Passover memorial, please keep these things in mind. Search out the traditions to make sure they they are not contrary to Yah’s word. Yahshua criticised the Pharisees often for holding fast the tradition of men while forsaking the commandments of Yah. Let us hold fast the commandments Yah has given us concerning His feasts and find joy in the ability to meet with Him in set-apartness, especially during these times. 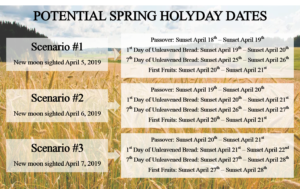 Here are the scenarios for the spring holydays. 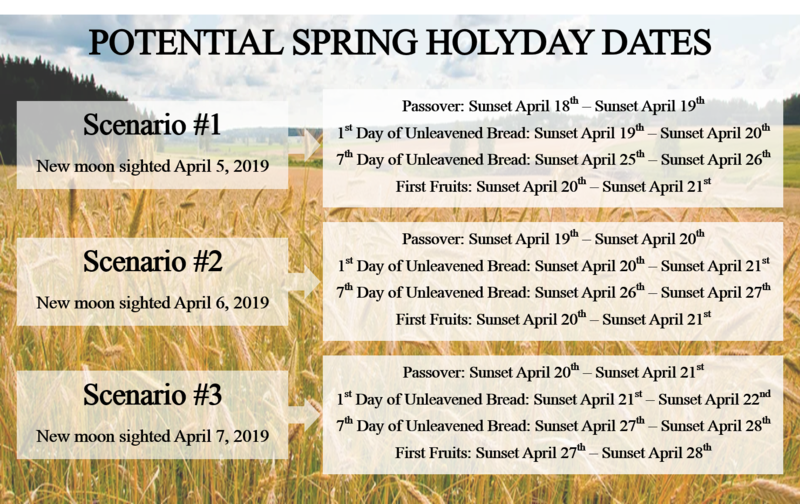 Scenario #2 is the most likely, but we’ll wait on the new moon sighting to confirm the holy dates. With the aviv reports we have evaluated, we have decided that a 13th month is needed this year. 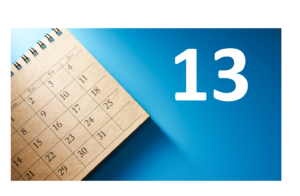 Our Passover memorial will be mid April. Stay tuned for exact dates as we see the next new moon.